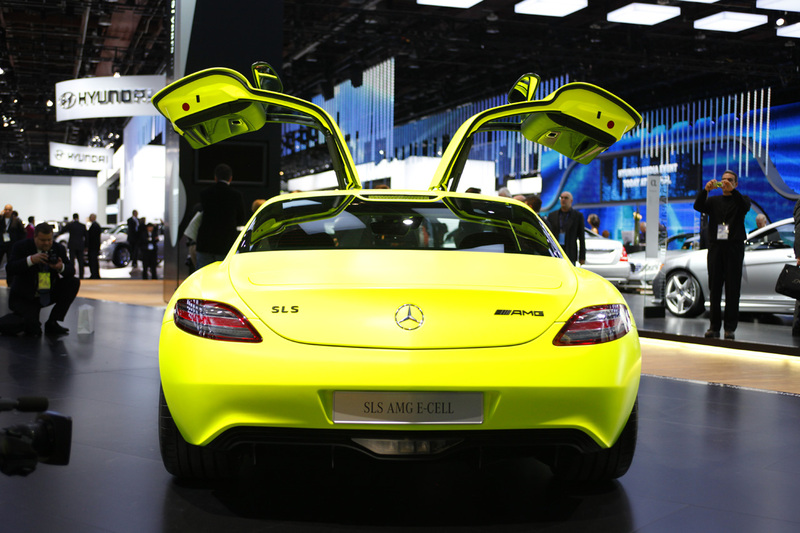 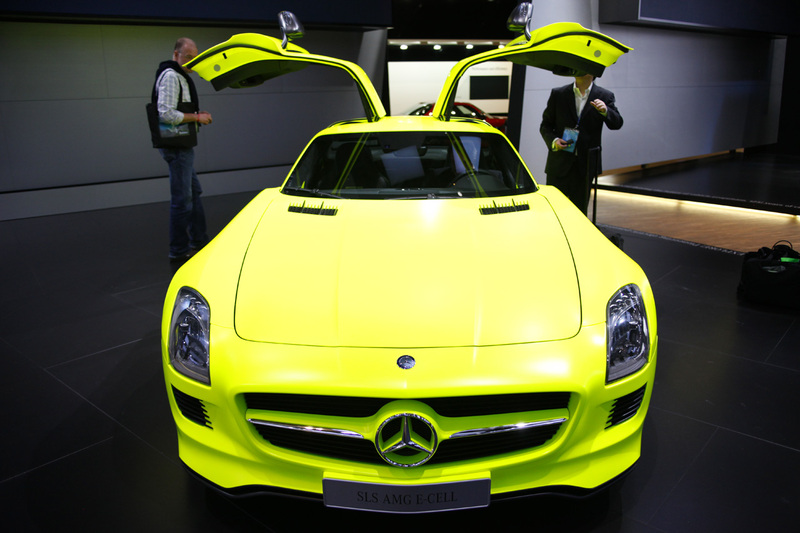 If you want to see true color, go to the Mercedes-Benz stand at the 2011 Detroit Auto Show. 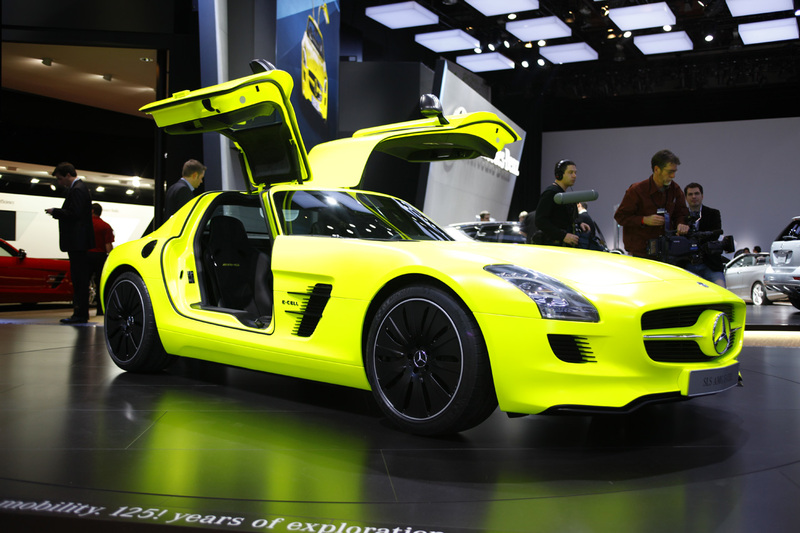 The Mercedes SLS AMG E-Cell is painted in one of the most powerful yellow ever seen and the4 synchronous electric engines outputs 525 hp and 649 Nm of torque. 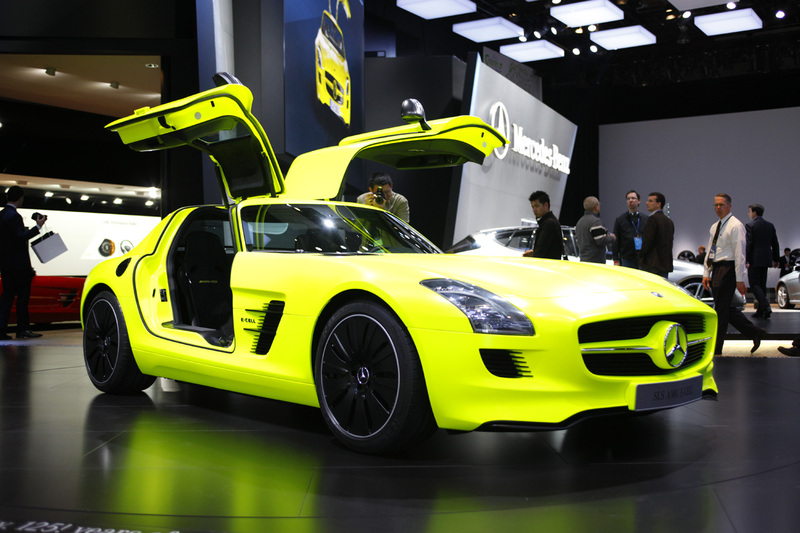 This power is enough to propel the car from 0 to 100 km/h in just 3.7 seconds, and this is amazing for an electric car. 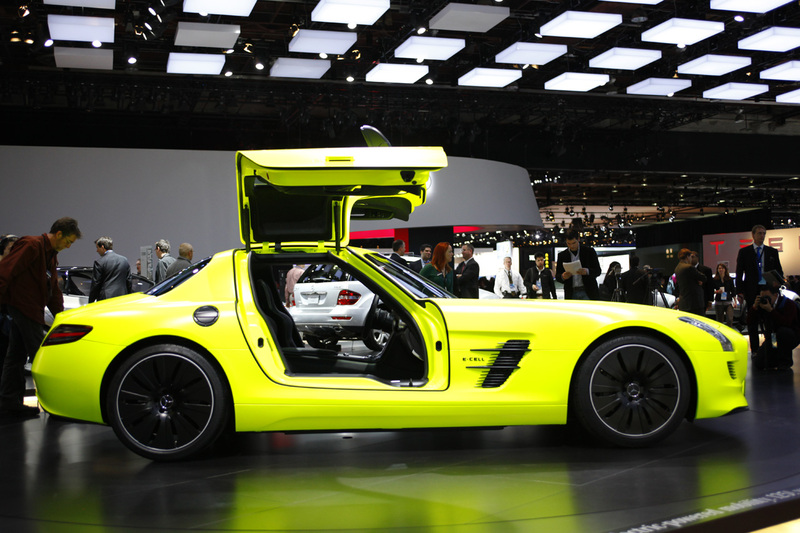 The Mercedes SLS AMG E-Cell also has lithium-ion batteries that handle energy storage and has a temperature management system for the best charging solution.